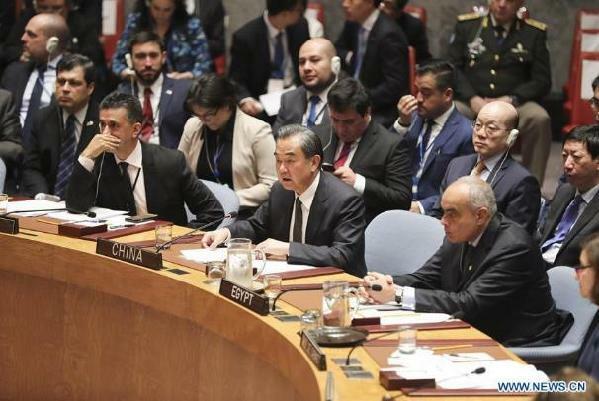 China's Foreign Minister Wang Yi took the opportunity provided by his regular visit to the U.N. General Assembly session in New York to visit Central America. China now has such an active global diplomatic role that such opportunities to keep in touch with her more far-flung partners are not to be missed. There were two elements to Wang's pre-U.N. visits to Costa Rica and Panama. The first was that Central America contains some of the end-nodes of the wide-ranging global commercial and economic networks being formed by the Belt and Road program. The second was to set the seal on recent favorable diplomatic shifts in the region. Wang's program in Panama included the opening of the newly-established Chinese Embassy, following Panama's decision on June 12 to institute diplomatic relations and accept the one-China principle. In Costa Rica, Wang celebrated the 10th anniversary of his host country's taking the same step. He also referred to the successful development of the relations since the signing of a strategic partnership agreement in 2015. This serves as a framework through which specific projects can be integrated. During Wang's visit, agreements were signed covering economic and technical cooperation, including “green” technology involving renewable energy. He also promised to fund the construction of a police academy. Prior to the visit, the Costa Rican President Luis Guillermo Solis gave an interview to Xinhua, in which he pointed out that links between China and Costa Rica go back much further than the establishment of diplomatic relations in 2007. Costa Rica's constitution explicitly declares the country is multicultural and multi-ethnic, and there have been Chinese living and working there since 1855. There is a large Chinese presence in most Central American states, and the latest Chinese diplomatic initiative may help to harness their energies in support of bilateral cooperation. In Panama, the foreign minister and his delegation held talks on tourism, trade, and the maritime environment; Panama, of course, is a crucial element of the Belt and Road strategy, due to its famous canal. China is already the second largest user, after the U.S. Thus, it is of great advantage to have Panama on-side diplomatically as well as in terms of maritime trade. China will no doubt be keen to push forward by developing a solidly-grounded partnership as quickly as possible. The other key aspect of the foreign minister's visit was to make progress towards complete diplomatic coverage of the Latin American/Caribbean region. In Costa Rica, Wang called on that country to play a leading role in helping develop China's relations in the neighborhood. This was in reference to the fact that the majority of the 20 countries still retaining diplomatic relations with Taiwan and holding out against acceptance of the one-China principle are smaller Latin American nations and island countries in the Caribbean, who have perhaps not yet received very much Chinese attention. But now the Belt and Road Initiative has greatly increased China's reach, accompanied by a willingness to put money behind it. Not only that, but – despite the great distances involved – China is prepared to put some effort to arrange visits and receive trading and technical delegations. The implications of China's comprehensive global trade, development and infrastructural project are that efforts have to be directed not only towards direct neighbors or major trading partners, but also towards the smaller links in the chain, especially those situated at vital nodes in the network. The links between this commercial diplomacy and China's more conventional diplomatic effort are clear. China's intention is to persuade all countries in the world to set up full diplomatic relations, as an accompaniment to involvement in China's international commercial networks. It is hoped that the benefits China's friends in the region derive from full participation in mutually beneficial trade diplomacy will encourage those countries yet to establish full relations to rethink their position. In previous generations, it would have been thought superfluous for China to cultivate small nations quite so far away from her own territory. This initiative points towards an entirely different approach in the 21st century; no country is so small as to be ignored and left outside the network. It has happened often enough in history that small countries have provided the spark which has led to catastrophe, as happened with the First World War. And China's contention, with which it is difficult to argue, is that international security is best underpinned by solidly based mutual economic interests. Foreign Minister Wang Yi’s foray into Central America demonstrates the growing reach of China into every corner of the world.